Note: CSMenu comes in exe install file and portable versions. 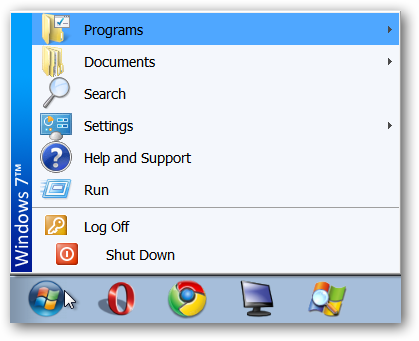 Here is a quick look at the default Start Menu in our Windows 7 example. Time to get that Classic Menu! 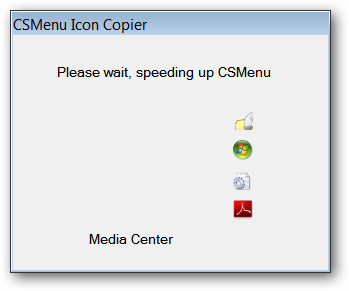 Double click the CSMenu exe file to get things started. The install process for CSMenu is quick and straightforward. After finishing the installation, you will see a message window that will say that CSMenu is going to index your Start Menu. While it is indexing, you will see the following window showing the progress of the indexing process. Once it has finished indexing, you will need to log off and then log back into your User Account. After logging back in, go into the Start Menu to locate the CSMenu folder. 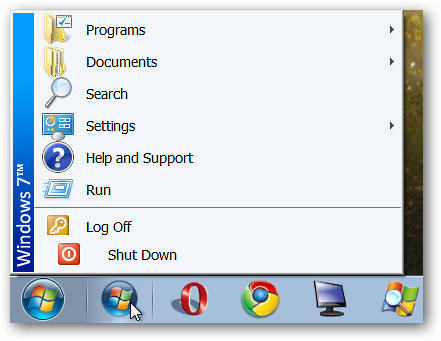 Right click on the “Show CSMenu” shortcut and select “Pin to Taskbar”. Once you do that, there is your new Classic Menu Start Button right next to the original one (you made need to move it to the left in your taskbar). Notice that the CSMenu Start Menu button is slightly smaller than the original. 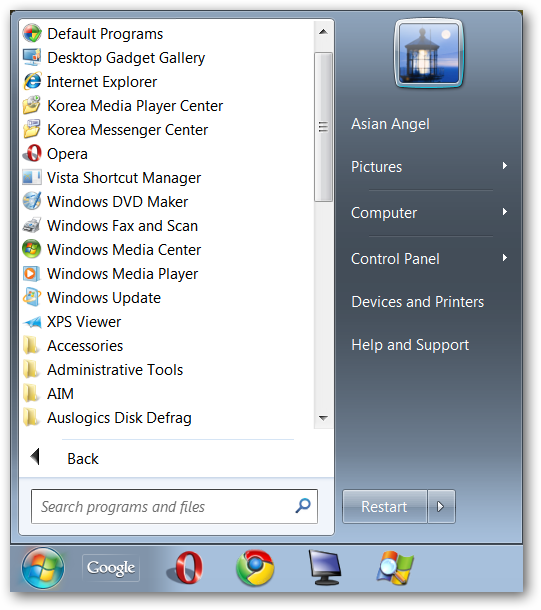 An expanded view of the new Classic Menu in our Windows 7 example. If you decide that you only want to have your new Classic Menu Start Button display, you can hide the original with a nice little program called Start Killer. 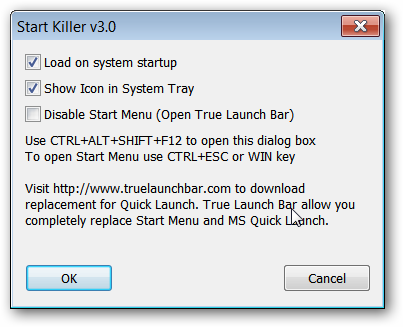 Run the Start Killer exe file and let the program automatically start after the installation is finished. Just one start button to deal with now (nice!). To make certain that Start Killer runs every time you start Windows, right click on the taskbar icon and select “Settings”. Make certain that “Load on system startup” is selected. A quick check on startup programs using CCleaner shows the everything is set to have nothing but Classic Menu goodness each time you start Windows 7. 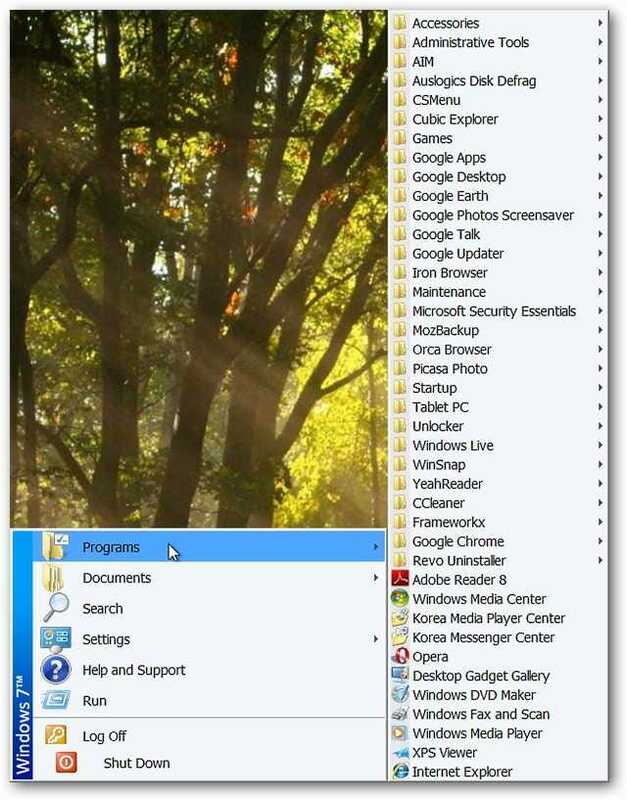 Have fun with your new Classic Start Menu!